Laura Ingalls Wilder was born Laura Elizabeth Ingalls on February 7, 1867, in Pepin, Wisconsin, the second of four children. She once described her father, Charles Philip Ingalls, as always jolly and sometimes reckless. Her mother, Caroline Lake Quiner, was educated, gentle, and proud, according to her daughter. Her sisters, all of whom would eventually appear in her books, were Mary, Carrie, and Grace. Laura also had a younger brother, Charles, Jr. (nicknamed Freddie), who died at the age of only nine months. As a young girl, Laura moved with her family from place to place across America's heartland. In 1874, the Ingalls family left Wisconsin for Walnut Grove, Minnesota, where they lived at first in a dugout house. Two years later, the family moved to Burr Oak, Iowa, where Charles became part-owner of a hotel. By the fall of 1877, however, they had all returned to Walnut Grove. In 1879, the Ingalls family moved again, this time to homestead in the Dakota Territory. The family finally settled in what would become De Smet, South Dakota, which remained Charles and Caroline's home until they died. Their second winter in De Smet was one of the worst on record. Numerous blizzards prevented trains from delivering any supplies, essentially cutting off the town from December until May. Years later, Laura wrote about her experiences as a young teenager trying to survive the cold temperatures and lack of food, firewood, and other necessities. Laura attended regular school whenever possible. However, because of her family's frequent moves, she was largely self-taught. In 1882, at the age of fifteen, she received her teaching certificate. For three years, Laura taught at a small country school a dozen miles from her home in De Smet and boarded with a family who lived nearby. During this same period, Ingalls came to know Almanzo Manly Wilder, who had settled near De Smet in 1879 with his brother Royal. Almanzo frequently headed out into the country on his sleigh to pick up the young teacher and drop her off at her parents' home for weekend visits. After courting for a little more than two years, they were married on August 25, 1885. Laura Wilder then quit teaching to help her husband on their farm. She later wrote about this time in her life in her book The First Four Years. The couple's only surviving child, Rose, was born on December 5, 1886. Although all homesteaders (those settling new lands) had to endure the hardships and uncertainty of farm life, the Wilders experienced more than their share of tragedy and misfortune. In August 1889, Wilder gave birth to a baby boy who died shortly after, an event that never appeared in any of her books. Her husband then came down with diphtheria, a terrible disease that causes breathing problems, which left him partially paralyzed. Finally, their house, built by Manly himself, burned to the ground. On July 17, 1894, the Wilders began their journey to Mansfield, Missouri, the place they would call home for the rest of their lives. There they established a farm and named it Rocky Ridge. Wilder kept a journal of their experiences as they traveled. When she reached Lamar, Missouri, she sent her account of their travels through South Dakota, Nebraska, and Kansas to the De Smet News. This was her first published writing. Wilder completed her first autobiographical work in the late 1920s. Entitled Pioneer Girl, it was a first-person account of her childhood on the frontier from the time she was three until she reached the age of eighteen. After Rose edited the book, Wilder submitted it to various publishers under the name Laura Ingalls Wilder. But no one was interested in her chronicle, which contained plenty of historical facts about her childhood but little in the way of character development. In 1932, at the age of sixty-five, Wilder published the first of her eight "Little House" books, Little House in the Big Woods. It told the story of her early childhood years in Wisconsin and was a huge hit with readers. Farmer Boy, an account of Manly's childhood in New York state, followed in 1933. Two years later, Little House on the Prairie appeared on the shelves. Five more books followed that took the reader through Wilder's courtship and marriage to Manly— On the Banks of Plum Creek (1937), By the Shores of Silver Lake (1939), The Long Winter (1940), Little Town on the Prairie (1941), and These Happy Golden Years (1943). New editions of all of the "Little House" books were reissued by Harper in 1953 with the now-familiar illustrations of Garth Williams (1912–1996). Wilder was seventy-six years old when she finished the final book in her "Little House" series. By that time, she and her husband had sold off the majority of their land and virtually all of their livestock, but they still lived on the remaining seventy acres of Rocky Ridge. It was there that Manly died in 1949 at the age of ninety-two. Wilder was ninety when she died at Rocky Ridge Farm on February 10, 1957. After her death, her daughter, Rose Wilder Lane, edited the diary her mother had written as she and Manly traveled to Missouri, the one that had first appeared in the De Smet newspaper. The resulting book, On the Way Home: The Diary of a Trip from South Dakota to Mansfield, Missouri, in 1894, was published in 1962. Twelve years later, a television series based on Wilder's stories debuted and ran for nine seasons. Through her engaging tales of life on the untamed American frontier, Wilder succeeded beyond her wildest dreams at taking a unique time and place of adventure, hardship, and simple pleasures and making it real to scores of young readers across the world. Anderson, William. Laura Ingalls Wilder: A Biography. New York: HarperCollins, 1992. Miller, John E. Becoming Laura Ingalls Wilder: The Woman Behind the Legacy. Columbia: University of Missouri Press, 1998. Wadsworth, Ginger. Laura Ingalls Wilder: Storyteller of the Prairie. Minneapolis: Lerner, 1997. Wilder, Laura Ingalls. West from Home: Letters of Laura Ingalls Wilder to Almanzo. Edited by R. L. MacBride. New York: Harper, 1974. Zochert, Donald. Laura: The Life of Laura Ingalls Wilder. Chicago: Regnery, 1976. I personally love Laura Ingalls Wilder! She is so cool! I learned so much! I love her TV shows, and her books! I am currently reading one in my LA class. I've been interested in Laura Ingalls Wilder since I was a girl. I read all and have all of her books and I have her tv series on Tape. She is the reason, I myself, have become a writer. I loved Laura Ingalls Wilder was my one and only famous author. This is how I found out about Laura: I had to pick one book from the library for my book report i had to check out so i told myself real quick that read what i got. I hurried and picked a book and lucky for me it looked pretty good. I read it and it was so good I looked her up on the internet. AWESOME!!! I told my mom about her and she said there was a film about her she said it was called ''Little House On The Prairie'' i was so anxious. I read it and watched it maybe you should too. You should look for the whole movie series on Wikipedia and type in Little house on the prairie lists. And for the videos go to Youtube.com for the videos. For the books go to Wikipedia and type in Laura Ingalls Wilder and scroll all the way down. Thanks for reading, hope this helps. These best books I have read in a number of years. I felt privilaged to read them. I love all of the books about Laura Ingalls Wilder. I have most of the TV series. Would love to know where to purchase of her books. Amazing book series! The show mirrored an exact image of Laura's life, also. i am writting a book about laura returning to wisconsin. i had just wanted her back to her birthplace. turns out i read she returned to wisconsin after leaving kansas! i was so excited. i got introduced the books by my mom,. we were at a bookstore, and she picked at little house on the prarie. i was stupid enough to think it was the first book in the series. you should read the long winter! i have been stuck up on it. i finished it last month. no wonder it is a newberry honor book! i als o love tv series. i love the ones were she is a little girl, books and tv series. i like to think of her as a little pioneer girl. What awards did laura ingalls win in her time? how many did she win? I have been a fan of Laura Ingalls Wilder since I was about 8 years old when a friend told me about "Little House in the Big Woods". My father would read it to me at night. When the movie aired in 1974 I was glued to the tv and the when the series stared in 1975 when I was 10, I was hooked and looked forward to every episode. Knowing Laura Ingalls Wilders life history, makes me admire here even more. I am grateful to the late Michael Landon for bringing these books to life on television. I started reading Laura Ingalls Wilder when I was a child in school. When the series "Little House" started I felt I knew what was going on. As a teacher, I made sure that I had those books in my classroom. Now my own child and my students read and watch the series also. I think it is a great American History series. I was so excited to learn that Laura Ingalls Wilder lived up to the 1950's to see all the changes in history. Little House and Waltons are/were the best that ever hit television. Laura was an amazing person to remember all those stories. Thank goodness she did. The cast and crew were the best and thanks to Michael Landon for bringing the series to television. I'm 73 and I still watch the re-runs. I have been a fan of Laura Ingalls Wilder since I was a young girl. My mother introduced me to the series at the age of 9 and even though I am now 25 I still re-read them every year. My childhood was not the happiest, but reading Laura's stories helped me through those tough years. It is so nice to go back to a much simpler time and I am just amazed at everything they accomplished. If I could have dinner with any person alive or dead I would choose Laura Ingalls Wilder as my dinner guest. She is an inspiration to all women and I would have loved to have had the opportunity to meet Mrs. Wilder. I love you Laura! I have loved the books since I ws a child. I have just finished Little HOuse on the Prairie with my 2nd grade class. We are watching the Disney version of the movie. It is a lot more accurate than the series. I have enjoyed doing some research as an adult. I have read the letters she wrote to Manly while visiting ROse in San Francisco and they were facinating. I hope to visit one of her homes in the near future. I first read these heartwarming stories as a child of 10. The mixture of folksiness, agricultura detail, social & historical detail made it so real one could almost imagine oneself on a claim. I love the way Laura's increasing age is reflected in choice of language, thought and complexity of motivation as well as in sentence, paragraph & chapter structure. They are a triumph of literature & a record of the triumph of ordinary men, women & children over sometimes seemingly unending adversity. They braved so much hardship to forge a better life for their descendants. Makes you wonder if children were better prepared for life back then. Hard to drag them away from the ps3 today let alone expect help with chores without complaint! The work ethic, morals & ability to be happy about quite mundane things are all qualities i might do welll to reclaim from a bygone era in this recesssion. Funny how they manage to be happy with so little. I know it's anachronistic to try & apply their financial framework & world view today in some ways but there's something about these books and about Laura which is timeless & which inspires the reader. The serenity, charm and tenacity of popularity of the series speaks for itself. 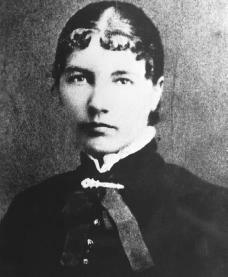 Laura Ingalls Wilder, fellow tomboy, teacher and mother, i salute you! I started watching the little house on the praire series when I was a little boy of 7. I am now 43 years old and I still watch the series after all these years. The way many of the stories unfold really makes you imagine that you have lived Mrs wilders life. Those stories have a way of making you love laura's triumphs and failures, For me these stories were a way of getting away from the harsh realites of living in chicago's englewood district a true hell hole if i ever saw one. These stories really helped me out and I will forever be grateful for Mrs Wilder sharing her life with me thru her tales of adventure. I never cared about reading as a child until I checked out one of the Little House books in my school library. I was in the fourth grade and that started my great love of books that has lasted all my life. My friends knew me as the girl that always had a book in her hand. I tried to do the same thing with my daughter early in life and it paid off, because she could read on a high school level by the time she was in second grade. If you have daughters be sure to start them off on the little house books, to develop a love of books. I grew up watching little house and have enjoyed reading a few of her books. I loved the show and still to the day I watch it. Laura Ingalls Wilder is one of my favorite authors. I was born on January 24, 1987. Rose Wilder Lane is also one of my favorite authors. I saw a photo of Laura Ingalls Wilder as a ten-year-old girl in 1877. "Little House on the Prairie" is one of my favorite TV shows. I was a ten-year-old girl in 1997. I read some Laura Ingalls Wilder books when I was a twelve-year-old girl in 1999. Rose Wilder Lane has a fan in me. Laura Ingalls Wilder also has a fan in me. I am a twenty-nine-year-old woman and I like "Little House on the Prairie". Laura did not write all of the book The First Four Years, her daughter actually wrote the ending and she sent it to a publisher.